We are Joomla! and WordPress specialists based in London and Norfolk but with clients across the U.K. and Europe. We have been working with Joomla! and WordPress since 2006 and our extensive experience includes design, hosting, e-commerce, security and hack/virus repairs. 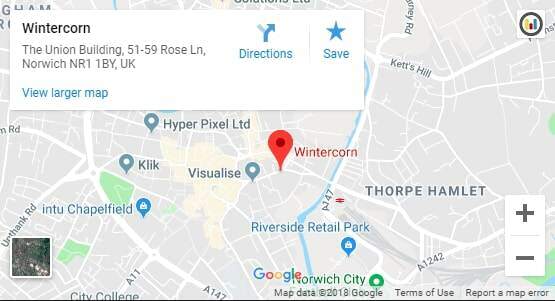 At Wintercorn, we have over 25 years of technology experience behind us. We work closely with our clients, including FTSE 100 companies, global brands and blue-chip organisations, to design, build and manage high-traffic, mission-critical websites globally. Our Managed Hosting service is responsible for keeping those sites safe, secure and online 24 hours a day and our Rescue Service rescues sites from hacks, viruses and malware with an option to upgrade to a Managed Hosting plan. We build and support Joomla! and WordPress sites for professional organisations across the globe who care about their brand. It's all we do, every day. Contact a specialist today on 0800 228 9933 or contact us here. We work with the following world-class technology providers to ensure maximum resilience, 100% uptime and the fastest load times available. Marcus has worked in technology since the 1980's in a diversity of technology roles from sales, support, systems analysis and executive search for start-up dot.com companies. He has gained a deep understanding of the needs of business and the impact of technology from designing and implementing sophisticated IT systems in both start-ups and established firms. Marcus is also non-executive director and consultant to a number of technology SME's and often speaks at industry conferences. Tom is responsible for managing our client workflow for migrations, repairs and looking after our support desk. His background includes managing the support process for a large software consultancy, project management for a major international consultancy and several years of software development and implementation of enterprise level applications in PHP, Python and C++. Simon looks after our servers and ensures that our server infrastructure remains available despite constant growth as well as planning future expansion. He has extensive experience in building and maintaining enterprise level servers for a major online advertising company. Glenda ensures that our invoicing is up to date and oversees the various financial transactions involved in the operation of the business. She has several years experience in a similar role for a large company in London. She works part-time - usually Mondays and Thursdays.